Most projects at some point have some kind of review such as a stakeholder review or project closure review. 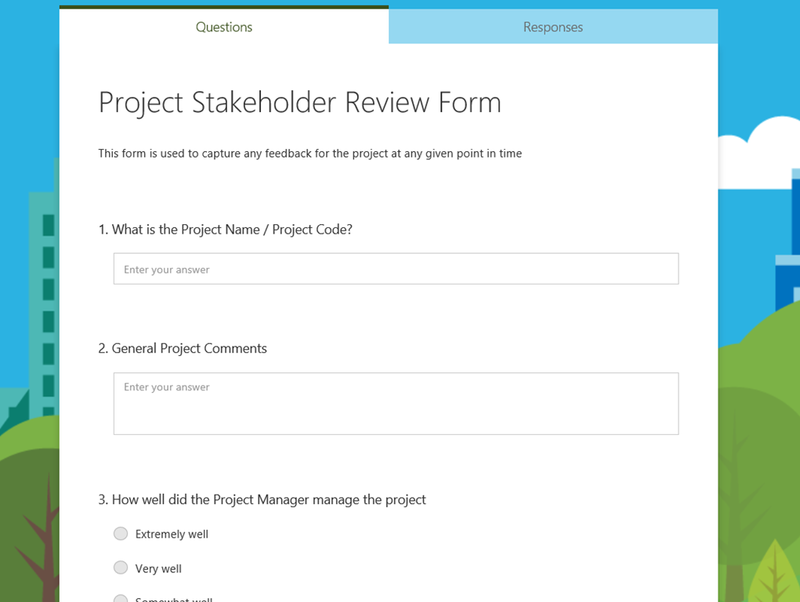 As Project Online is built on SharePoint there are many ways that this can be achieved but in this blog post we will look at making use of Microsoft Forms to design those reviews, Microsoft Flow to capture the responses for the reviews and SharePoint Online to store the data in a list in the Project Web App site collection. 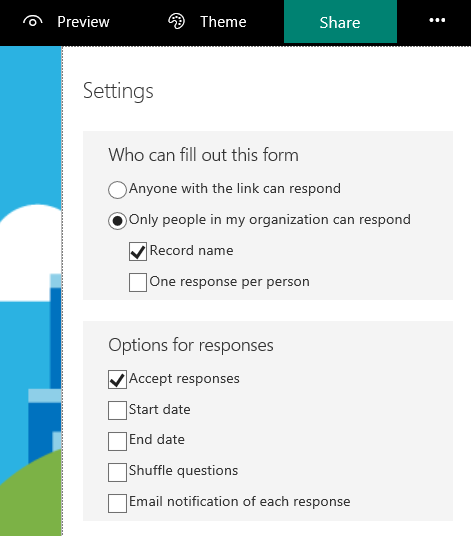 As Project Online is built in the Microsoft Office 365 cloud there are lots of great features that you can make use of, Forms seemed a good fit for a project review. 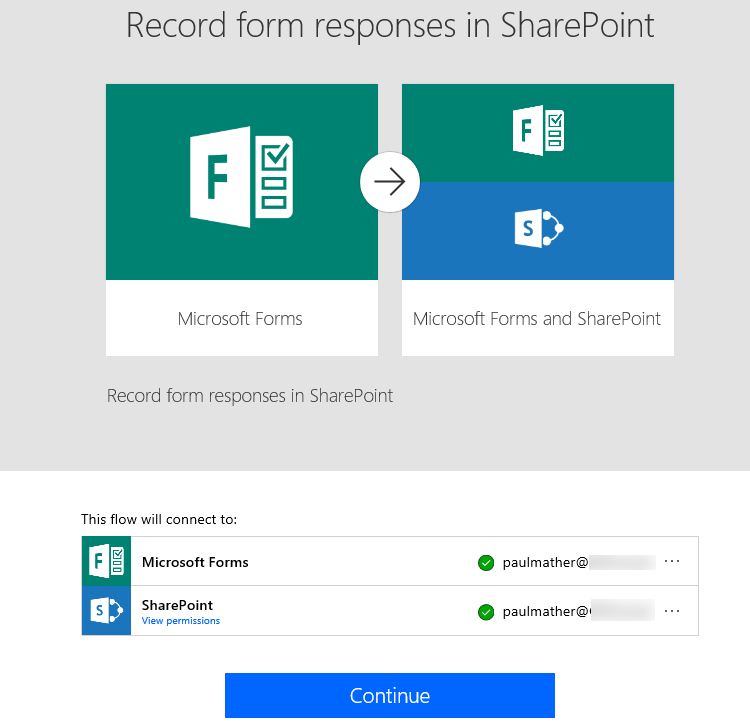 This blog post assumes you have already set up the connection to your SharePoint Online tenant in Microsoft Flow. 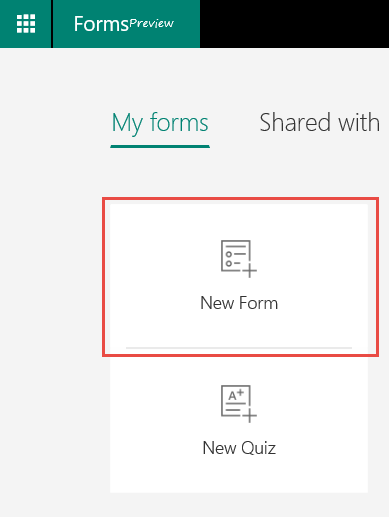 Now click the Share button to get the form URL to send to the relevant users or add in the Project Web App site. 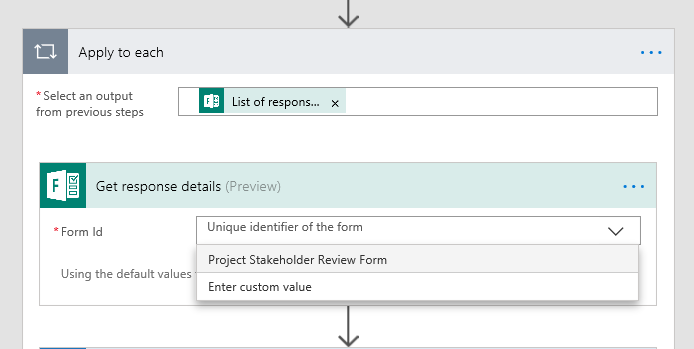 For example, if you were creating a project closure review form or stakeholder review form you might add this to a certain Project Detail Page that is only visible at a certain stage of the project lifecycle. Do be aware of the SharePoint list access – you might want to restrict access to this list!